It's the Sunday evening after a great weekend and I've just had a quesadilla and leftover mashed potato for dinner. A few weeks ago I posted my Lazy Sunday post and was really surprised by the amount of lovely comments and responses I got just from a little post about my Sunday. No outfit photos, just a few little Instagram snaps. So I thought it would be nice to do a little catch up post on a Sunday when I've not got any nice pictures to blog about - a post about my week, the things I've been up to and all the little things that don't warrant a whole post. If you haven't seen Whiplash, get out of the house right now, drive to the cinema as fast as you can and go to see the next showing. Seriously. One of the best films I've seen in ages - and thanks to my Cineworld card I've seen almost all the Oscar-nominated films this year. Incredible film, sensational performances (if JK Simmons doesn't get Best Supporting Actor I'll eat my hat) and I've been listening to the soundtrack on repeat at work all week. It's short, it's slick and it's intense. 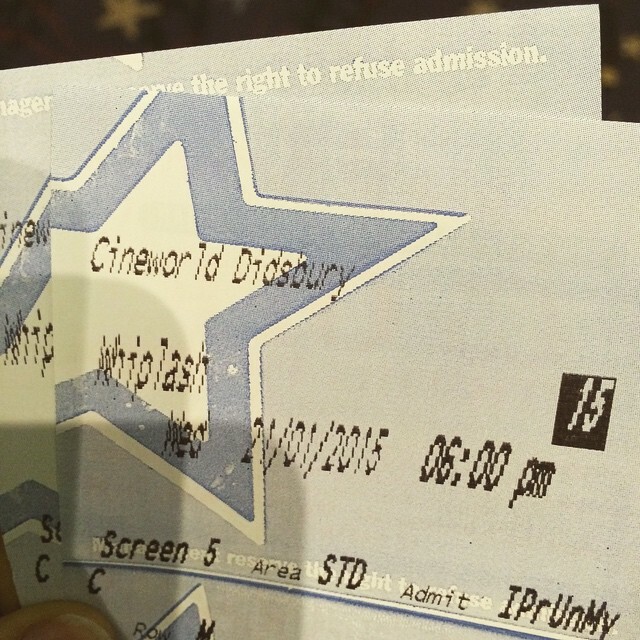 As soon as the film finished, Phil leaned over to me and said "If that started again right now I'd go see it again." We're thinking of a second trip to see it pretty soon. We're off to see Wild on Wednesday so I'll update you on that next week. Last Sunday it was a bit icy outside when I was due for my run, so I decided to give Insanity Max: 30 a go instead of my run. Long story short - it's amazing! I've been enjoying T25 but it's just not Insanity, but Max:30 is amazing. I've not felt that complete, utter exhaustion since Insanity. Anyway, Monday I did abs as usual, and on Tuesday I started the last and final level of Chalean Extreme, the Lean month. Man oh man it was hard. Wednesday was cardio so I did Max: 30 again and I was feeling sore all over, but good. However on Thursday morning I woke up late (which for me is 5.20am haha) and I felt very tired, nauseated and my heart was pounding. I started my strength workout but could tell from the numbers on my HRM that something wasn't right. So I stopped. 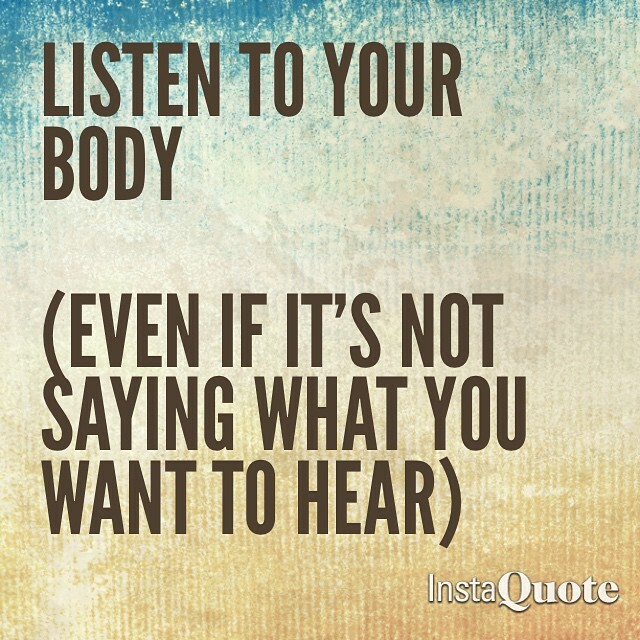 It takes a lot for me to stop, but if my body isn't happy I'm not going to push it. I push my body enough with one extra mile, one more rep, just a bit faster. Friday was my rest day and I felt much better by Saturday, but I think adding extra cardio and harder strength to my workout took some adjusting to. I still wasn't feeling 100% on Saturday but Phil and I went down to Parkrun and I decided just to see how I got on and wasn't expecting a great run. Instead I got a really, really good pace on, absolutely went for it, and crossed the line with my watch saying 32:07. Now I know my watch is a little bit out from their official time (usually about 10 seconds) and I'd stopped to tie my shoes about two miles in and my watch stops when I stop so I knew I hadn't quite beaten my PB of 32:09. My official time was 32:17, so I missed a PB by just 9 seconds, but considering I hadn't felt great I was chuffed. I think I can get a PB in the next few weeks! Then today I really wasn't feeling it after a busy day yesterday (more on that in a second!) 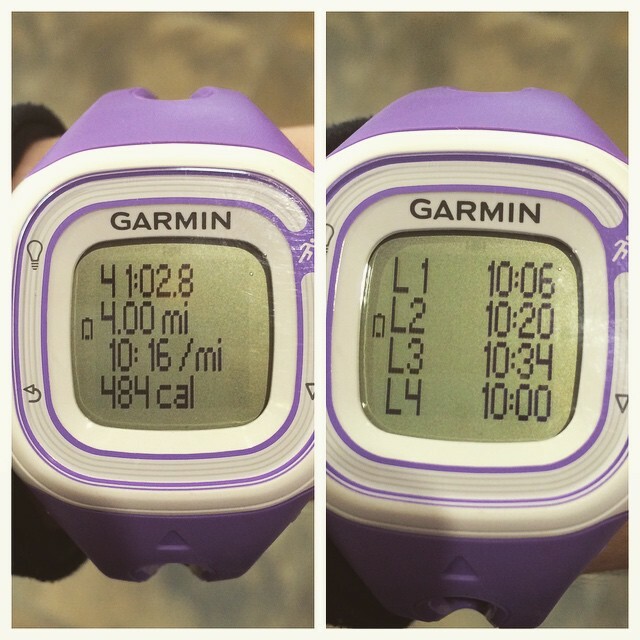 but I went out with the intention of running 4 miles with a goal of 44 minutes. Now that's not a bad time for me, but a bit of a push. When my first mile came in at 10:06 I knew I was doing well, and by the second mile at 10:20 I felt I could easily do 4 miles in 42 minutes. I did 3 miles in dead-on 31 minutes (over a minute faster than my Parkrun PB) so I decided to push for 41 minutes. I didn't think I was quite going to do it til my watch beeped at dead-on 41 minutes. I was absolutely over the moon! My fastest run ever! I've got the Great Manchester Run in May but I'm going to sign up for a 10K in March to keep my focus and I'm really excited to work on my speed over the next few months! 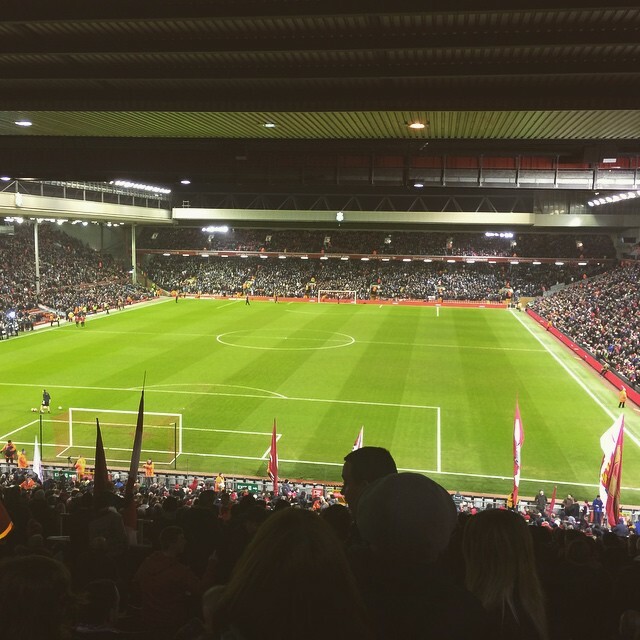 Where I went this week: Anfield! Phil is a big Liverpool fan, so as a result I've been following them for about the past year or so and absolutely loved it (I had a season ticket at Stockport County growing up and I've missed watching football). 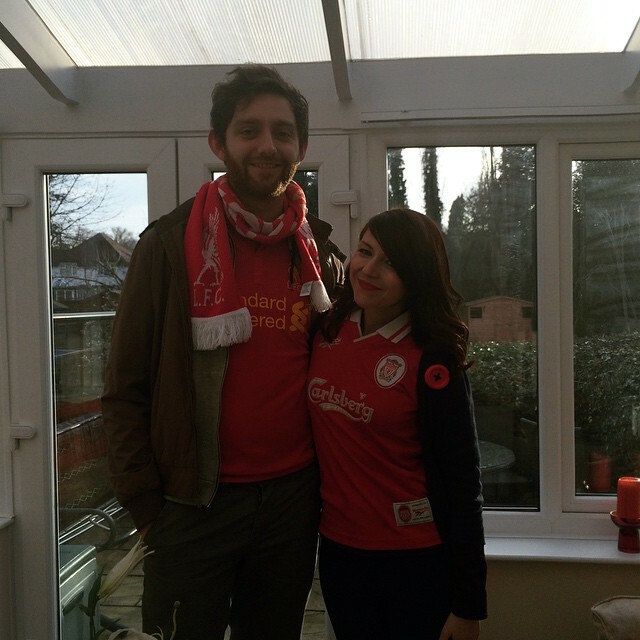 We've talked about going to Anfield for ages, but the opportunity never really came up. Phil's family are all big Bolton fans, so when Liverpool were drawn against them in the FA cup we knew we had to go. Phil sorted tickets out with a guy from work, and at the last minute my Dad's friend John drove us because he has a season ticket and was going anyway. I've been ridiculously excited all week. The atmosphere was incredible and I absolutely loved it. We were sat right in the Kop where all the singing is so I loved joining in with that. Even though it was a 0-0 draw it was such an exciting game and I cannot wait to go again! 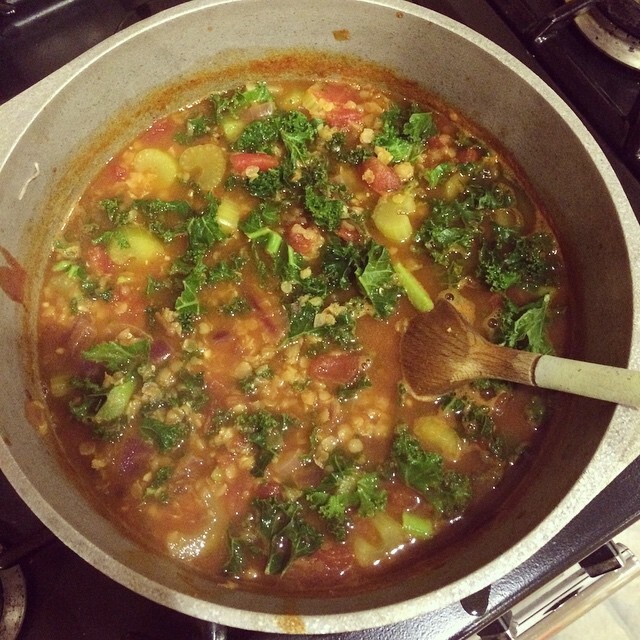 I made soup at 11pm while watching Match of the Day last night (it's red lentil and kale), and I also made 10 spice vegetable soup last week. I've been prepared all my work snacks for the week on a Sunday which really helps me in the mornings. It was my turn to bake at work on Friday so I made these Red Lobster-style Cheddar Bay biscuits that went down a treat - three people asked me for the recipe! I also made my favourite salmon burgers on Tuesday and a yummy courgette noodle stir fry on Thursday. And quesadillas. Always quesadillas. Well I've just got back from lunch and drinks for Phil's friend's birthday which has been a lot of fun - even though I was expecting to get home at about 4.30pm but we were having such a good time it was actually 8.30pm! It's 2 and a half weeks now til Phil and I move into our flat! We're just so desperate to move in now time seems to be slowing down, but I know once I started thinking about packing I'll want even more time! Our joint account is ready, standing orders have been sorted out and we've got everything we need to get started so it's just a waiting game now! February and March are looking really exciting now too - we're off to London the last weekend in February for Phil's birthday weekend to go see Les Miserables on the West End, and I've got a Hen Night, a theatre trip to see Blood Brothers, a 10K, Alton Towers and my birthday to look forward to in March. Exciting! Let me know if you like this kind of post - it's nice just posting about what I've been up to this week when I haven't had time to take proper outfit photos. I promise these won't replace outfit photos, but it's nice to just be able to post when I want to catch up! Hope your weekend has been lovely too!